I know it’s been over a week since we’ve got back from our first NYC trip, but it’s taken this long just to adjust to our routine again. So thank you everyone for patiently waiting to here about our city adventure. Saturday before our trip we packed, printed tickets, looked at our driving route, and any last minute planning. That night we took Kira to a local kennel. Once she got settled in we went out to eat and got rest for our long day of travel ahead. 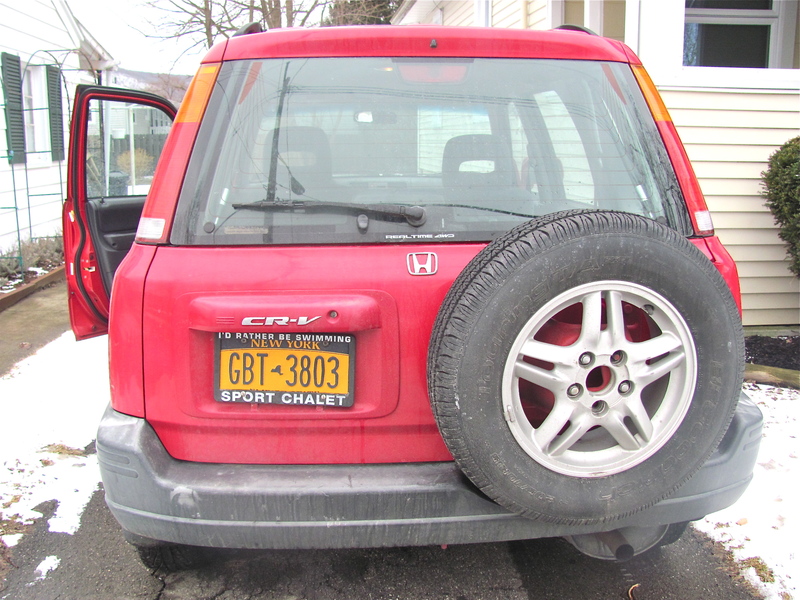 On Easter we got up early, packed the car and started our 5 hour journey to Poughkeepsie NY. I tried to grade during the familiar portions of the route but had to stop once we got to the Catskill mountains; a beautiful area where we saw many holiday hikers out at the trail heads. We took a toll bridge over the Hudson River drove to the Poughkeepsie train station. Once there we asked about long term parking at the station, paid for our car, and had lunch. Our commuter train to Penn Station came right on time. We grabbed our bags and showed our tickets, which were scanned using an iPhone. 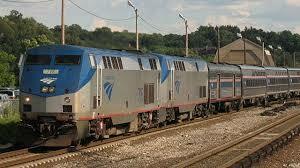 It has been a long time since I’ve traveled Amtrak, definitely way before iPhones were used to scan tickets. For Luke this was a new experience. Although it was only an hour and a half commuter train, we needed no entertainment, staring out the window was perfect. On one side of the train we followed the Hudson river into the city passing West Point along the way. On the other side we passed commuter suburbs of the Big Apple. On the train we planned out our next leg of the journey, and the one I was most stressed about: getting to our hotel. Fortunately, I found a subway app that Luke downloaded onto his phone similar to google maps or gps, it helped us decide which subway line we needed. 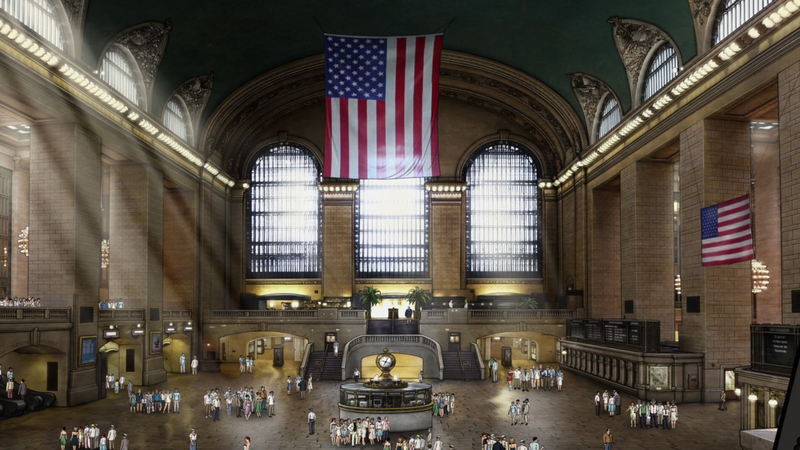 We got to Penn Station and in the main terminal asked around for where to get metro cards. We got unlimited metro card use for our stay then hauled our luggage across the tunnels to our subway line. It was a little tricky carrying our bags through the subway terminals and keeping our bags between our legs while holding on to poles in the subway train, but we managed. Fortunately we didn’t have to walk very far once we got off the subway to find our hotel. We checked in and took the evaluator to our 14th floor room. Although it was “club” size room it worked just fine. We settled in then went out to eat to a place called “Stout”, which has as you can guess has many stout and porter beers on tap and in bottles, as well as some decent gluten free options. There while everyone watched the Syracuse basketball game we planned our next day of adventures. More of our adventures to come . 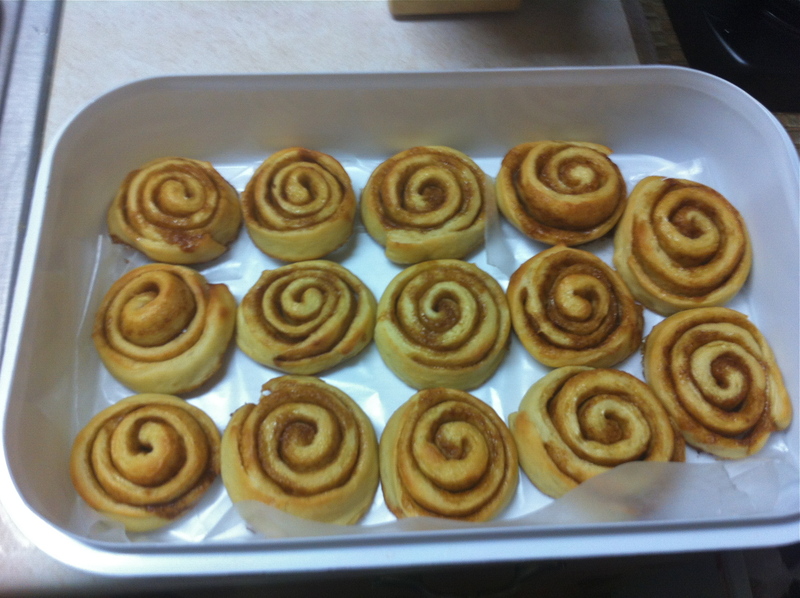 . .
Because he spent his b-day out of state we are celebrating it this weekend and so yesterday I made him belated b-day goodies: cinnamon rolls. If you remember last year I madea Cinnamon Roll Bunt Cake with cream cheese icing and raspberries. This year I decided to join celebrations of his birthday day and St. Patty’s day by making one amazing dessert (breakfast). As per the other bread of the months posts (so far) the original recipe for these cinnamon rolls comes from The Bread Bible . And also as per usual I have made my own version with tips and alterations. 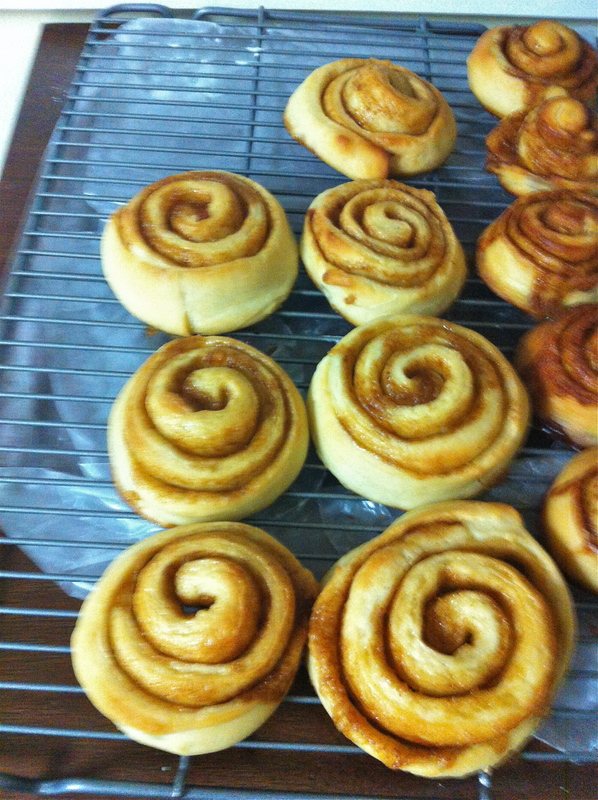 So here’s the Irish Cinnamon Rolls. 1. Peel the potato and cut it up into chunks. Put it in a small/medium pot and cover with water. Bring water to boil then let the potato cook uncovered for 15-20 minutes. 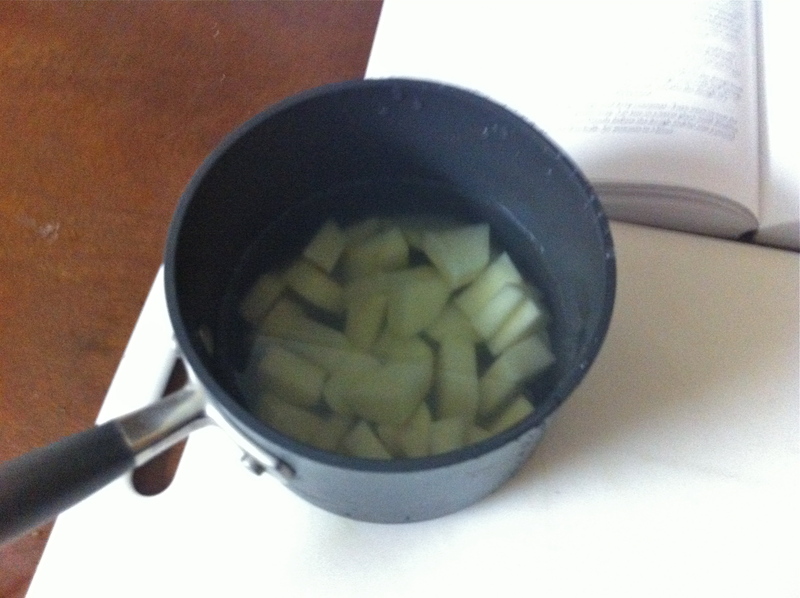 With a slotted spoon scoop out the potato and place it in a large bowl/kitchen-aid mixer bowl. Add in the 2 tablespoons of butter and with a metal blade puree the butter and potato. (Keep the boiled potato water). 2. 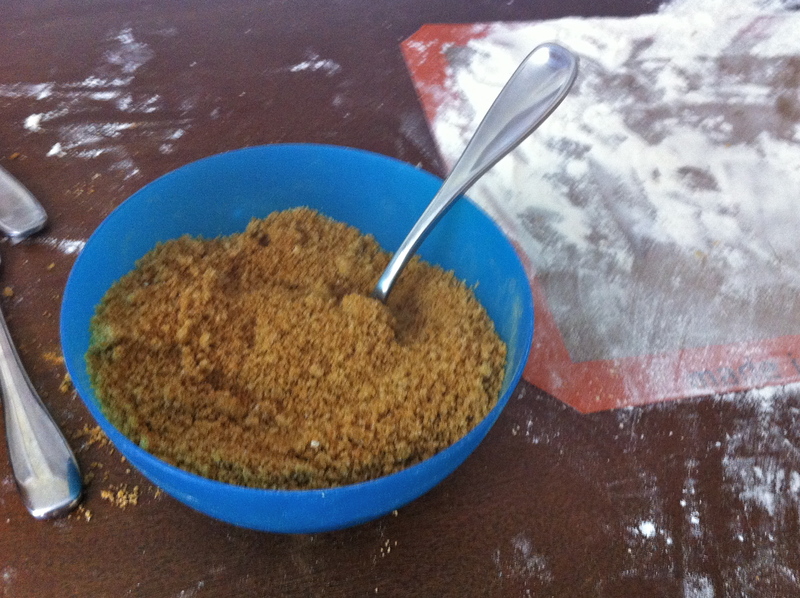 Place the active dry yeast (1 pack) into a small bowl, add 1 tsp. sugar, then pour in the 1/4th Cup warm water. Let it bubble and foam for about 10 minutes. 3. Add to the large mixing bowl with the potato puree: the yeast, potato water, 1 egg, salt, ½ Cup granulated sugar, vegetable oil, and 2 cups of flour. Beat together until combined then slowly add in the rest of the flour (3-31/2 C worth). 4. When all dough is combined knead until it is smooth and springy. 5. 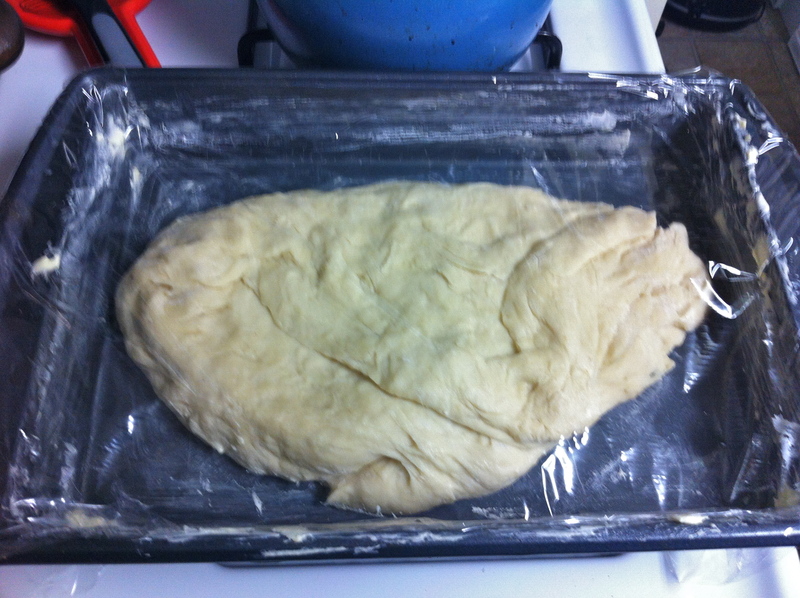 Grease a deep container (I used butter) than place the dough in it turning it over one time to coat top and bottom. 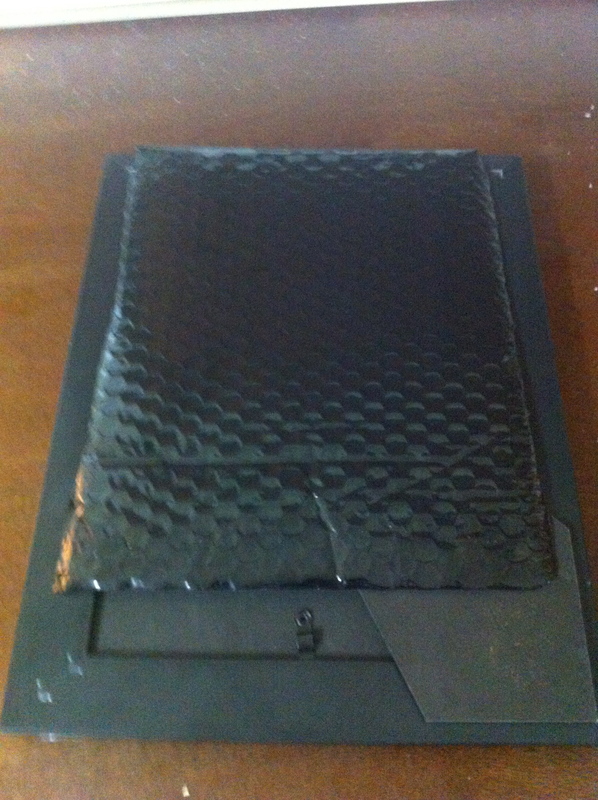 Then cover the container with plastic wrap and let it rise in a warm place for about 1 to 1.5 hours. ( I put mine on top of the stove with the oven on at 250-300F). 6. Knead the dough letting out the air and then place it back in the container and cover again for another hour to raise in a warm place. 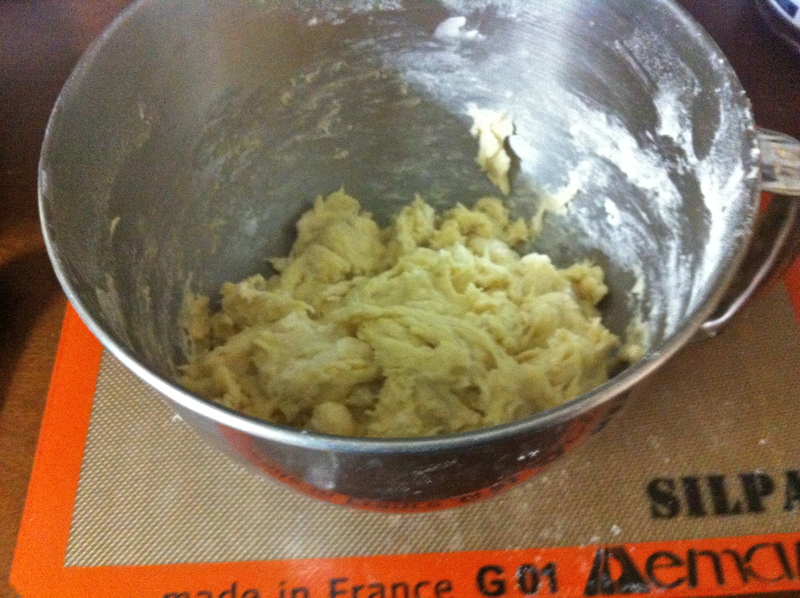 Then knead the dough again and divide it into two pieces. Roll out each piece in into a rectangle of about 10 by 14 inches at about 1/4 inch thick. 7. 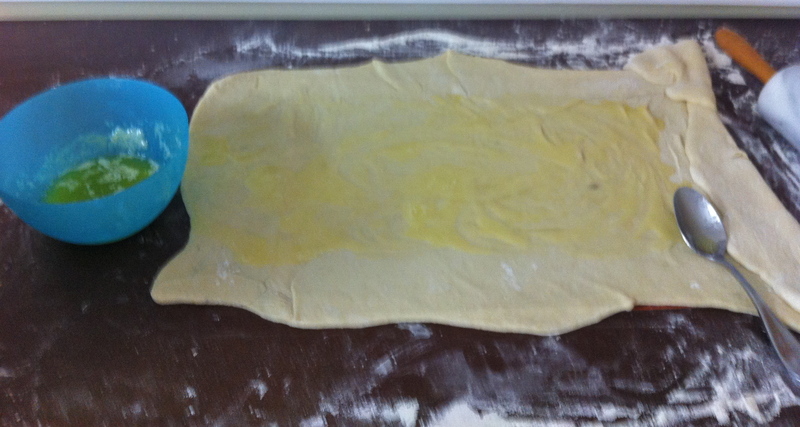 Melt the butter then brush the surface of the dough up to ½ inch on all side with the butter. 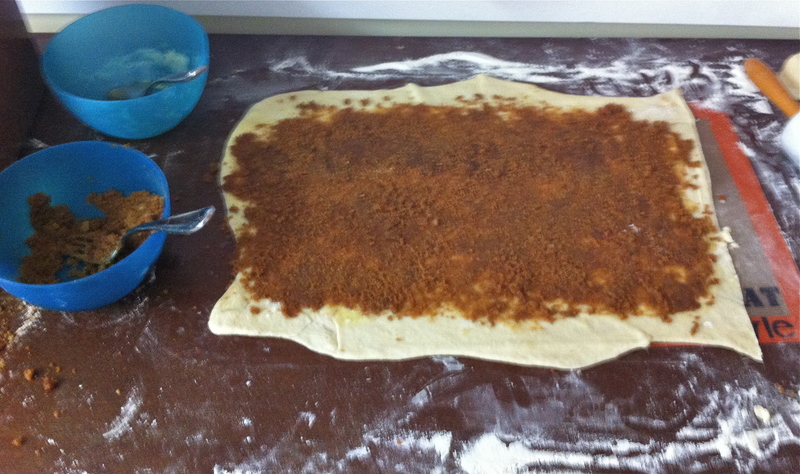 Make the filling then sprinkle it over the buttered surface of the dough. 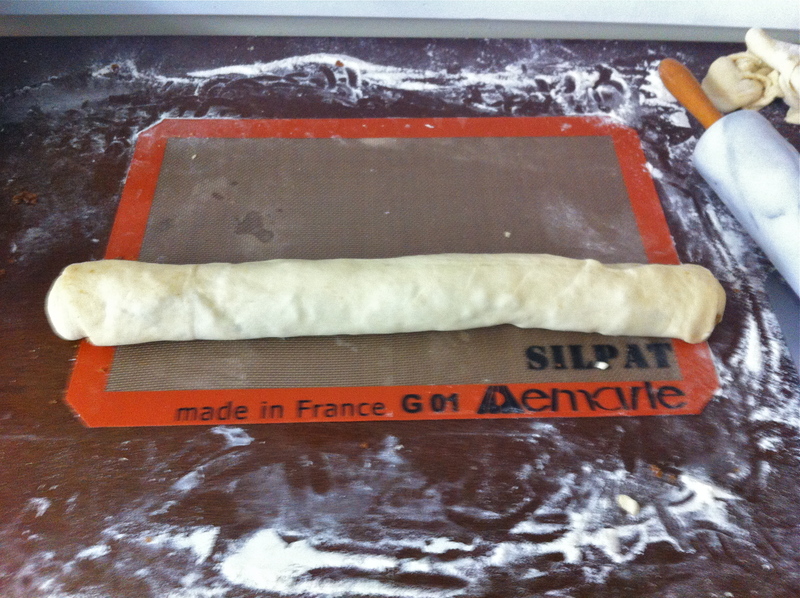 Roll the towards you in a tight jelly roll, once rolled; pinch the seam. 8. Take a bread knife or other sharp knife and cut the roll into 1 to ½ inch thick slices. 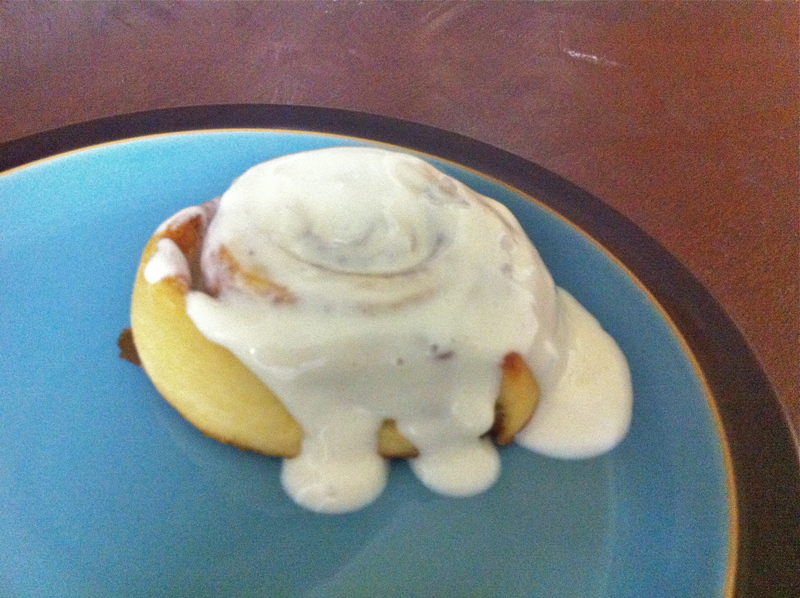 (The thicker the slices the bigger your cinnamon rolls.) Place the slices on a baking sheet lined with either parchment paper or a slipat. 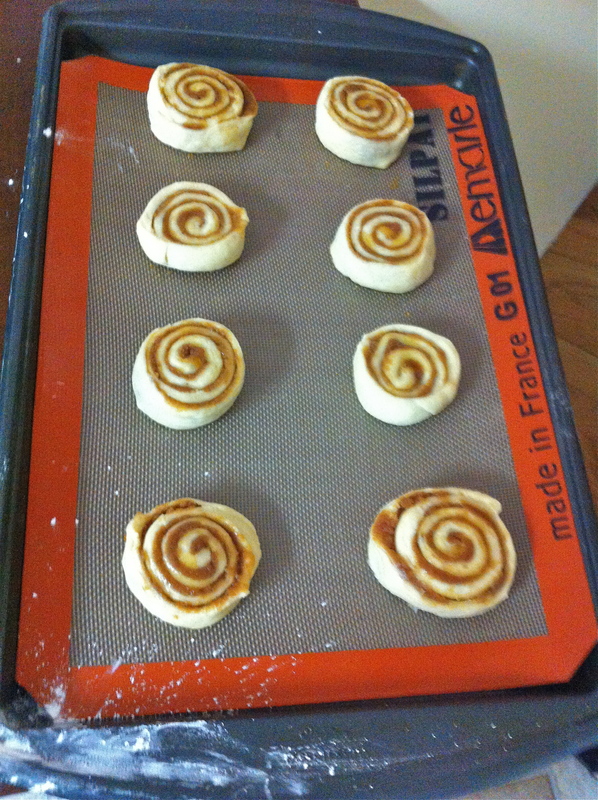 Press each roll down a little onto the sheet (this prevents it from pulling apart in the oven). 9. Preheat the oven to 350F and place the uncooked rolls under plastic wrap and let it rise for 20 minutes at room temp on the baking sheet. While waiting on these rolls continue to do the same process with the other set of dough. 10. Place the rolls in the oven for 20-25minutes at 350F. When firm and lightly browned on top take them out and let them cool. 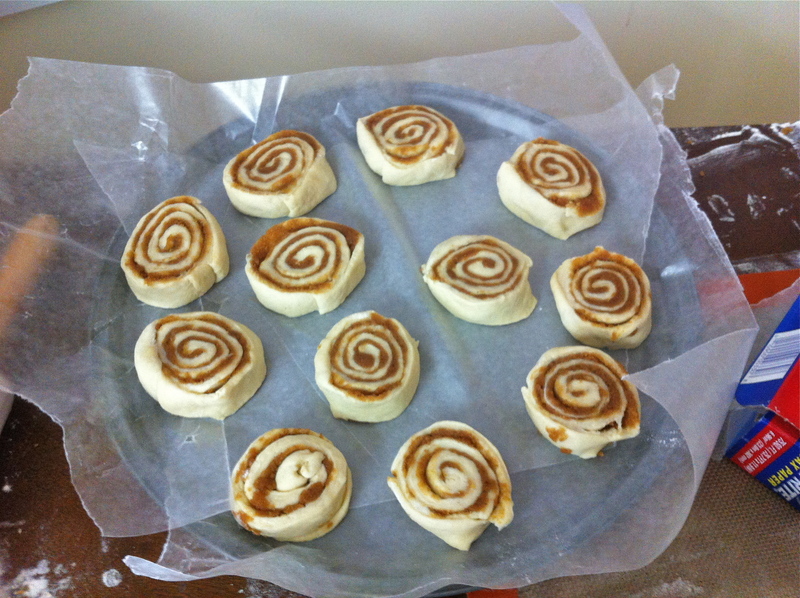 While the rolls bake make the icing and it spread over the cinnamon rolls once they have cooled. 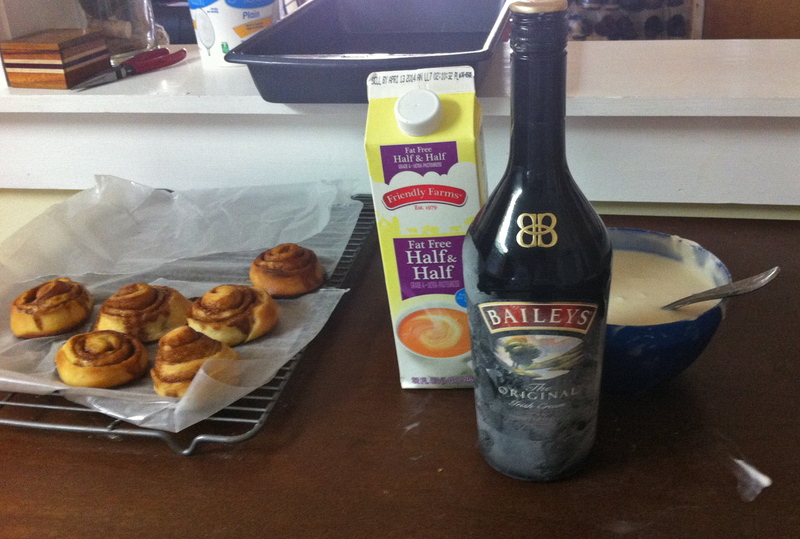 Note on icing: I chose to make my icing out of cream cheese, milk, powdered sugar, and a little Bailey’s. 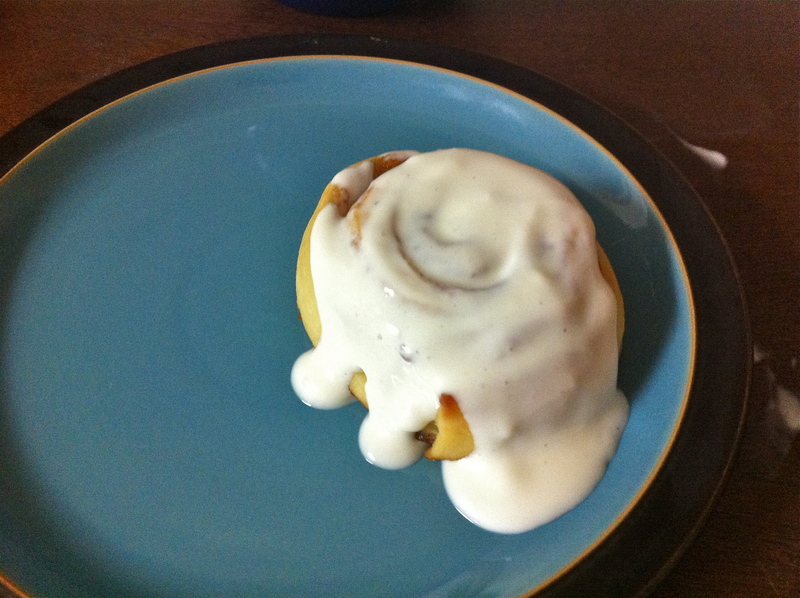 If you like your icing thick and creamy (not runny) I would suggest using cream cheese. I you like a thinner icing then you can use half and half or milk combined with the powdered sugar. Either way if you want to use Irish Cream I would suggest adding it in slowly because you will probably want to balance it out with some milk. And there you have it! Our St. Patty’s/B-day treat. (More on Luke’s b-day to come). So what is your favorite B-day dessert? Traditional cake? Ice Cream ? Cookies? So I left off Why I am tree-nut free: Part 1 with saying that my experiences with my tree-nut allergy are different as an adult then as child. As I have traveled to other countries and discovered more foods and languages, I have come across new and different challenges. During college I had the privilege of traveling out of the country several times. On my first trip out of the states (beyond a brief bit in Canada) I didn’t have too many problems with my allergies. But my choir trip to Italy on the other hand was a whole different story. If you know anything about Italian dessert and baked goods then you’ll know they enjoy their pistachios, hazelnuts, and walnuts. My first encounter was a gelato stand in Venice in which they did not use separate scoopers for each flavor. I got pistachio and hazelnut oil in my nut-free gleato. From then on if we wanted a frozen treat I was cautious to only go to vendors with separate scoopers for each flavor. Since tree-nuts are such a large portion of desserts there is no one easily translated generic name for them as in English. Each tree-but has a different unqiue name. 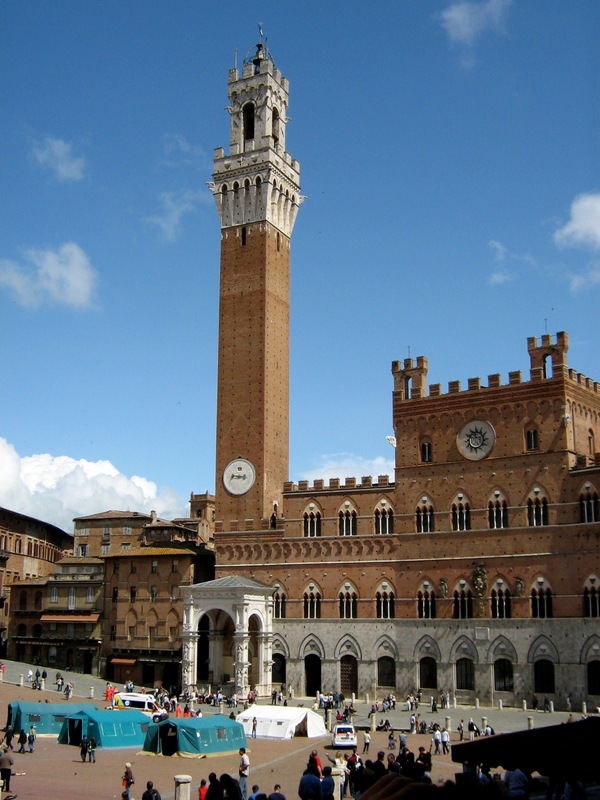 Although English was widely spoken in Italy some places we visited I was not able to clearly ask about the more traditional baked goods many of which were coated, rolled, covered, or filled with tree-nuts. One night after celebrating with a local Italian choir I found what I thought was a safe chocolate wafer cookie. It didn’t take long for me to realize it was nutella rather than chocolate. My mouth broke out into welts/sores. Of course I had benadryl with me but it was still not a fun experience. Like Italy, on my semester-abroad I discovered tree-nuts were common in many foods in the Middle East. In fact we went often to a store-front around the corner from our flat in Cairo to get candied, salted, or chocolate covered nuts ( of course I got peanuts). But these types of store-fronts are found all over the Middle East alongside bulk spices and candies in bazaars or souks. When we visited Syria we went to what is supposedly the oldest ice cream stand in old Damascus. Here you order ice cream then it is carried down an assembly line being las of all dipped in fresh chopped nuts. I wanted the ice cream but was unsure how to communicate I didn’t want the tree-nuts. I knew some arabic but was limited. I knew that generally “mish” was meant “without” so I tried to communicated “mish” while shaking my hands and head. The man laughed but some how got my gestures and I got nut-free ice cream. At the same time I also laughed because I remembered that “mish-mish” actually means “apricot”. I am glad he was able to determine by context I wasn’t asking for apricots. For some people allergies go away with adulthood or start up like my allergy to Barley (for more see Why I am barley-free Part One ). What I have found with my tree-nut allergy is that I can now detect how my body reacts differently to each type of tree-nut. In a very limited amount (such as heath bar/toffee, or oil) I can ingest almond or coconut with little to no reaction. But hazelnuts, as I mentioned earlier, will give me welts on the inside of my mount. Walnuts will make my stomach cramp and if I eat too many can give me hives. Whereas cashews are the one tree-nut my body is unwilling to digest-once it hits my stomach it forces itself right up again. I found this out the hard way several times. Most recently was at an Indian restaurant when visiting Corning NY a year ago. We were looking for a place to live and decided to eat at a Indian restaurant in town, our meals were good but I took a sample of one of Luke’s dishes only to find out, not long after, it had cashews in it. So what does that look like for me now? I am cautious, read labels, ask questions, and I am more than use to refusing delicious looking food. It doesn’t bother me usually as much as it bothers the one who made the food. As we approach the holidays I will probably have to turn down desserts, stuffing or other sides dishes, some salads, and possibly green beans if they are topped with almond slivers. My solution ,when I am not eating with family, is to volunteer to bring a dish I know normally would have tree-nuts in so I get to eat it. Do you have any allergies, food restrictions, or strong food preferences? How do you get around not eating what you can’t/don’t want to during the holidays? 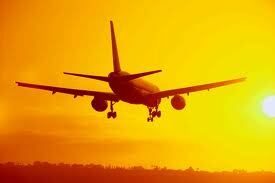 How do you handle your allergies or food restrictions when traveling especially out of the country? 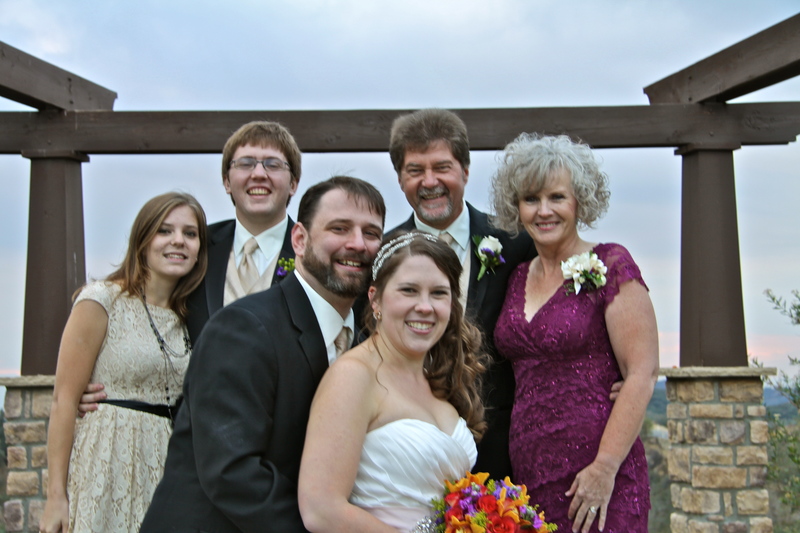 So you must think I’d forgotten my promise to share all the wonderful details from my brother’s wedding. 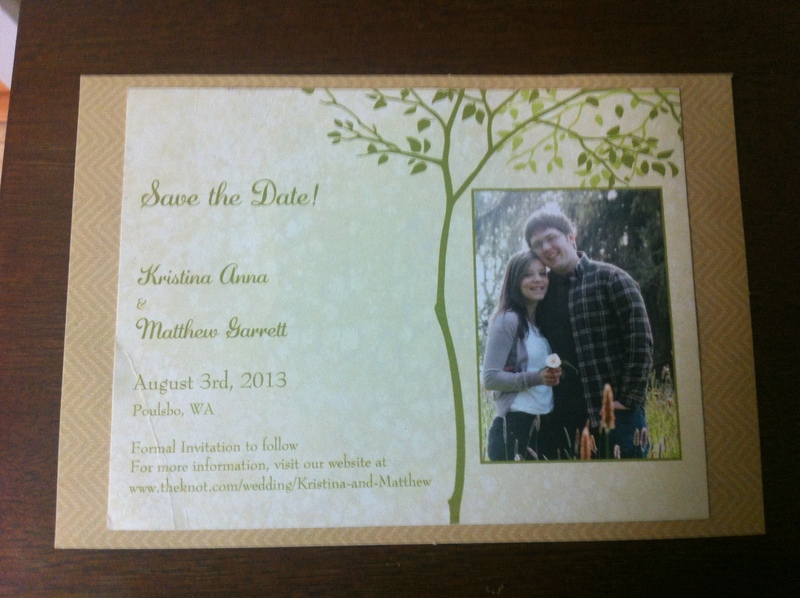 Well, I hope you haven’t lost interest, because I am finally ready to dole out the details. 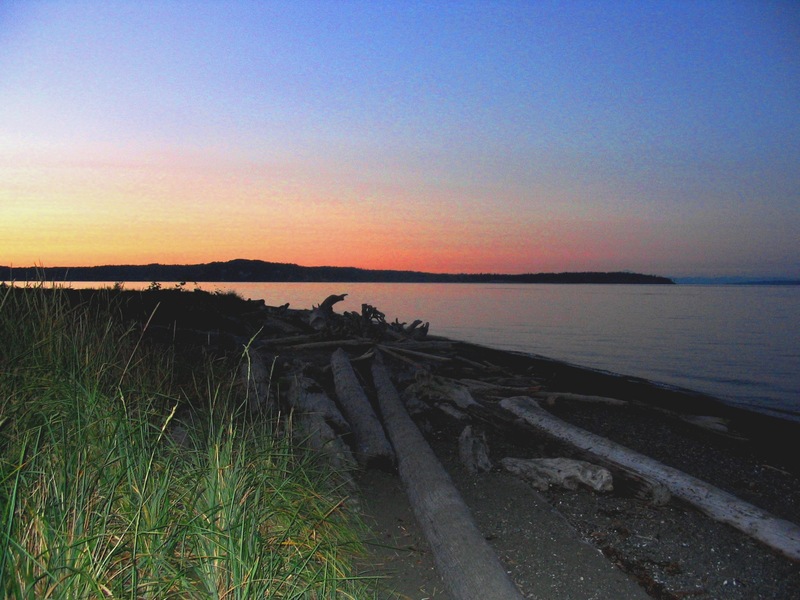 I arrived late on Friday night July 26th after a day of airport travels. 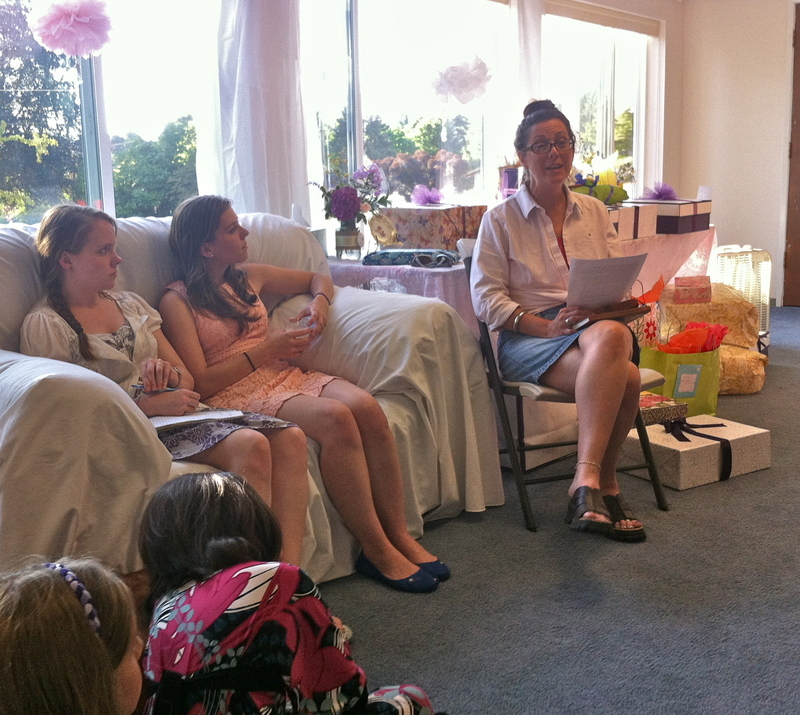 The next day was Stina’s Bridal Shower. That morning was spent catching up with my mom while enjoying some much needed coffee and packing presents for the shower. 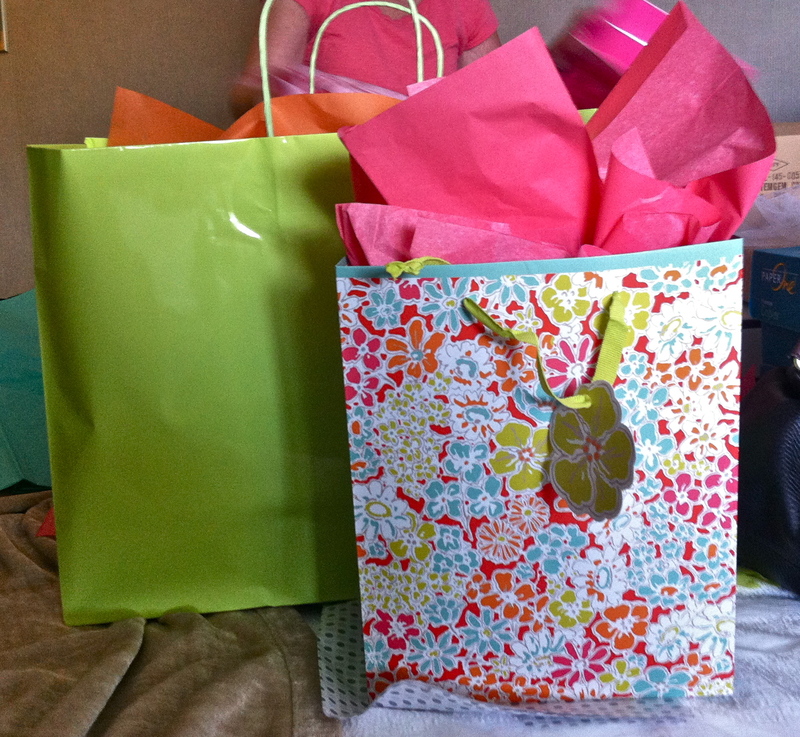 Now before I share about the shower, let me answer one question: How do you creatively gift-give for a bridal shower on a budget /when you are traveling across country? 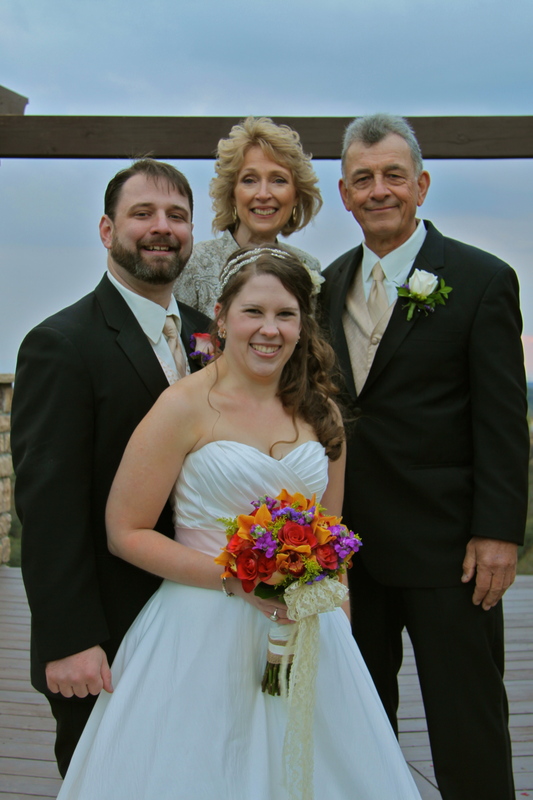 Answer: Instead of picking off the registry, I choose to create several smaller items. 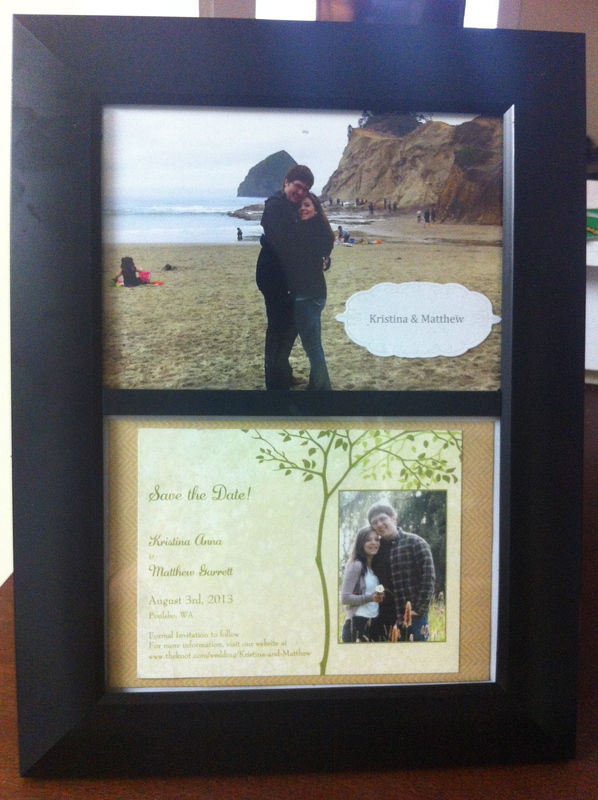 and their engagement announcement/save the date card. 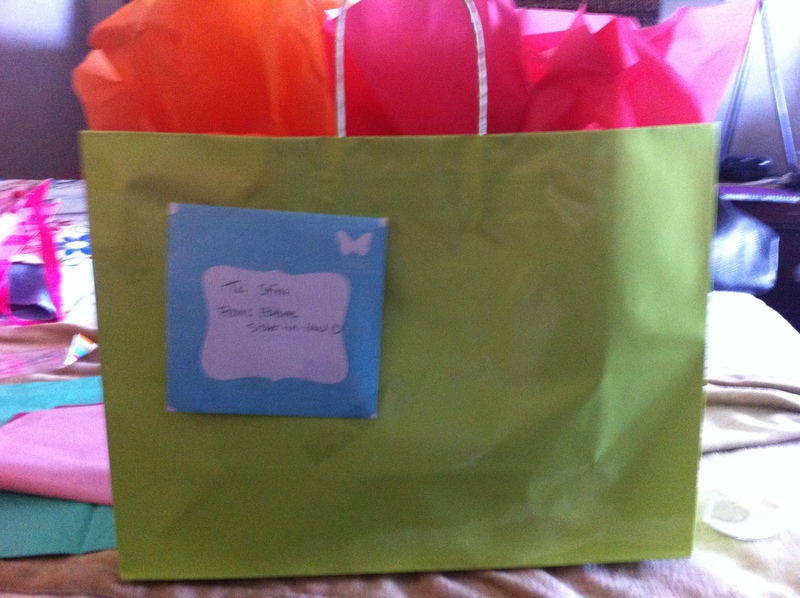 Item 2: Also from Target , in the 1 dollar section I found a small makeup bag/pouch which I filled with relax/spa goodies. 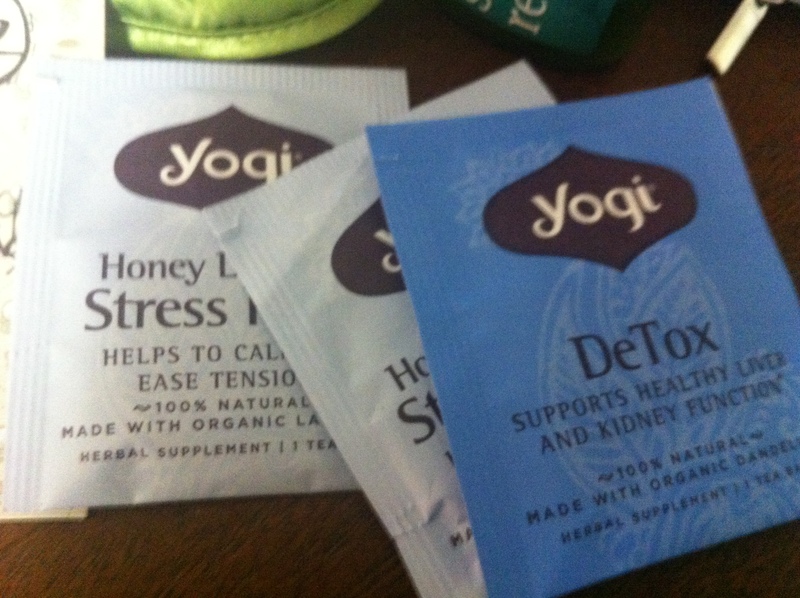 Wedding planning can be so stressful so I thought: why not pack a little pick-me up? I found a sleep mask for 2 dollars, a sample size stress relief lotion from Bath and Body Works worth probably 2/3 dollars. 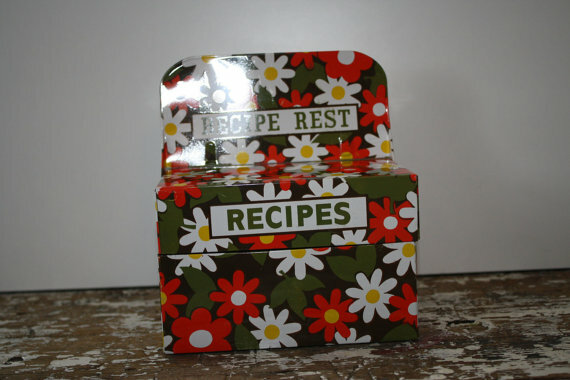 Item 3: I found a old fashioned metal recipe tin decorated with red and yellow daises on Etsy for 13 dollars. 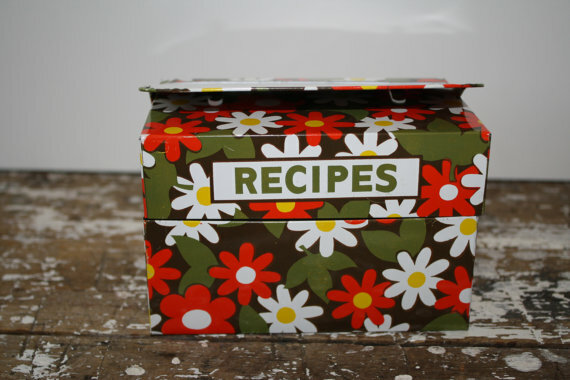 My mom and I partnered up to fill the tin with recipes that we know my brother likes. 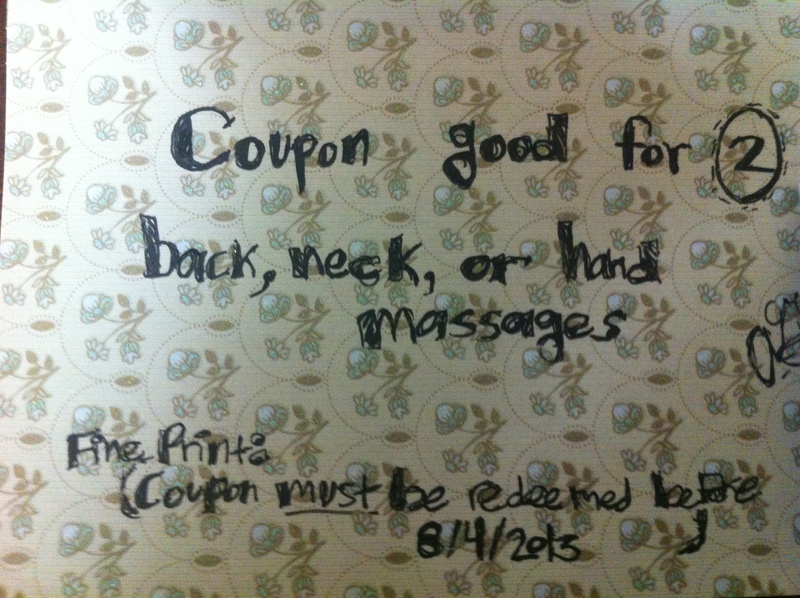 Total cost: 20 dollars including shipping (it can cost less if it’s a joint gift with other family members). Now to the shower: That evening we piled into cars with all the presents and drove to the Moseng’s family church. 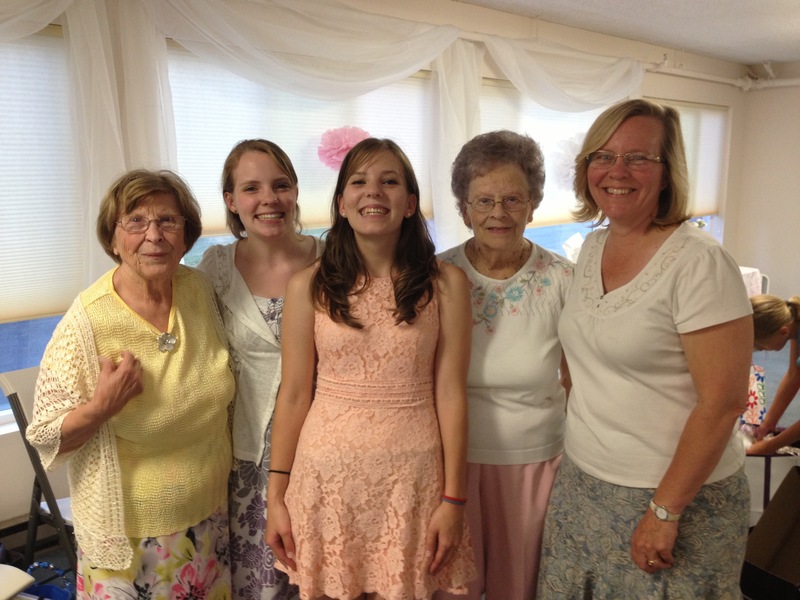 The ladies of the church had decorated the room in shades of pink and yellow. 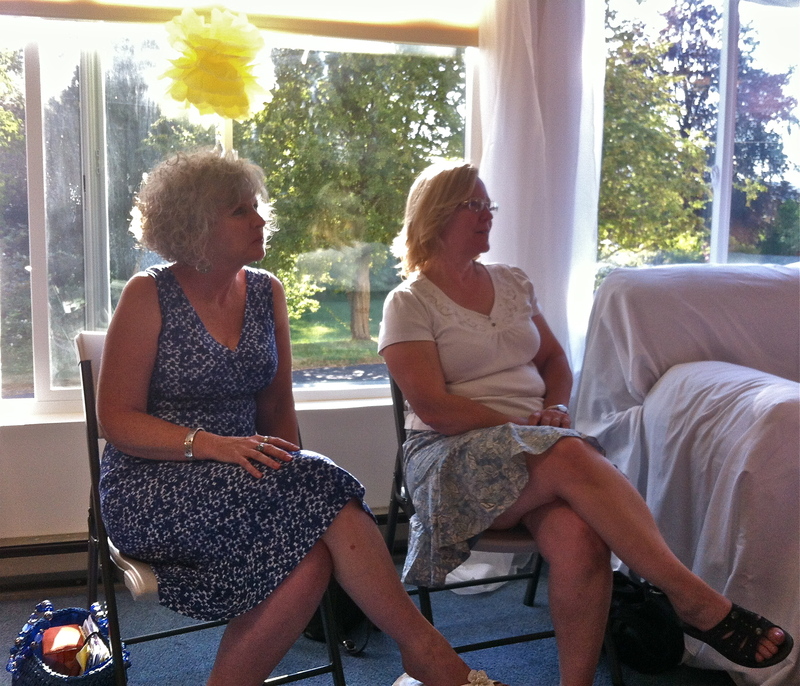 Chairs were lined up to face a windowed wall were a couch was centered for the guest of honor. 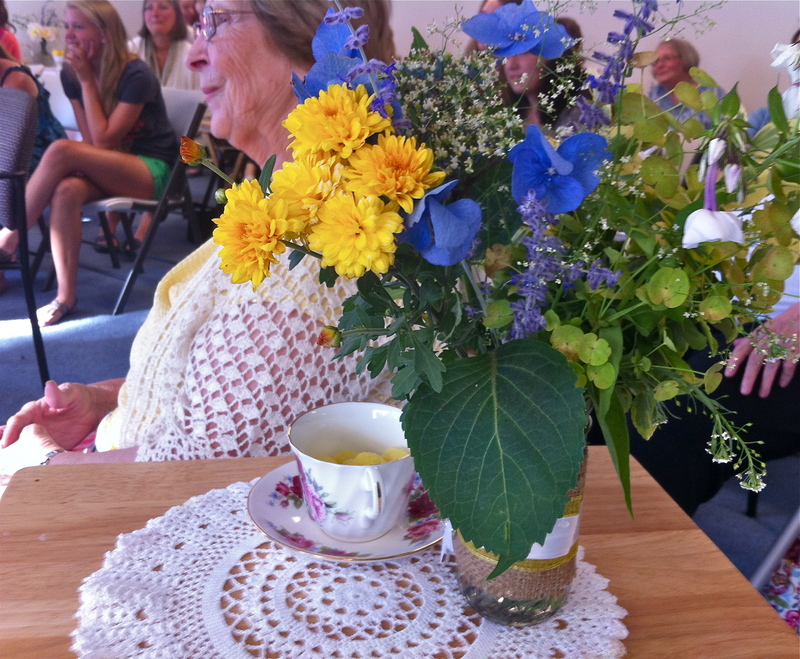 Tea cups full of lemon drops sat on side tables covered in doilies and mason jars filled with fresh flowers. 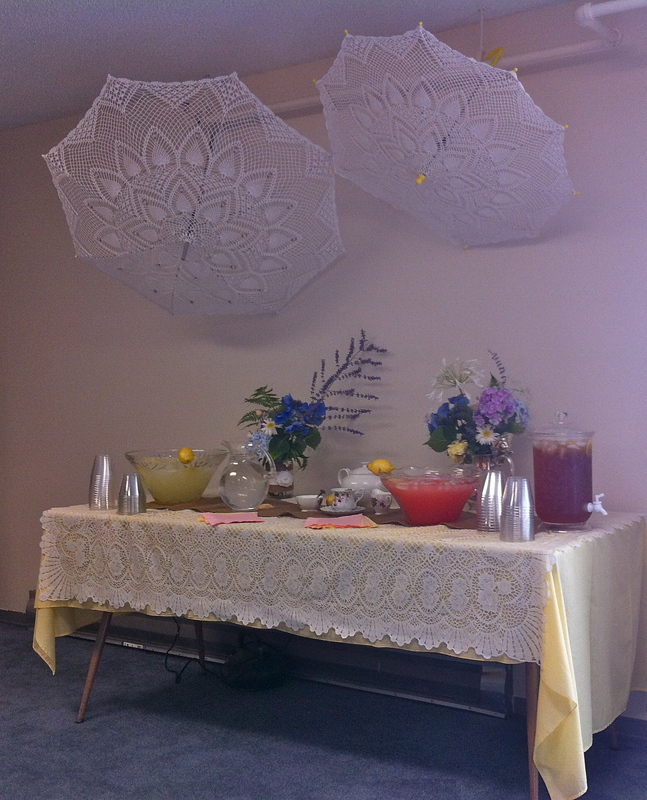 A gift table was stationed on the right and a drink station on the left serving tea, and two types of lemonade. 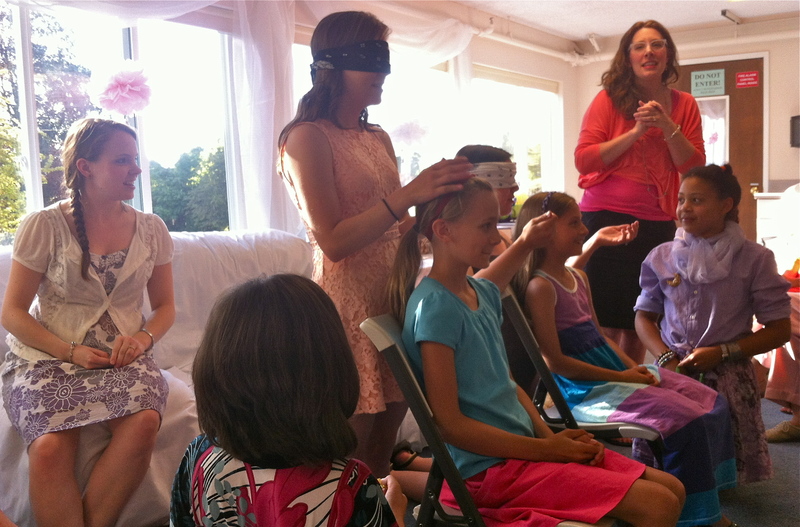 The fun started with a game in which the engaged women in the room had to try to put makeup on Stina’s flower girls while blindfolded. The rest of the women verbally direct the girls as to where to put the makeup. 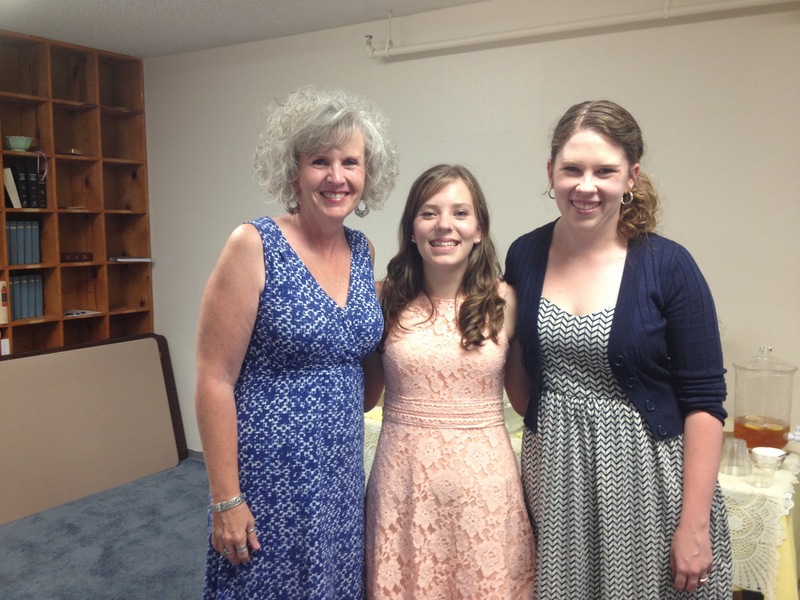 Following this, a women of the church shared a devotional and prayed for Stina. 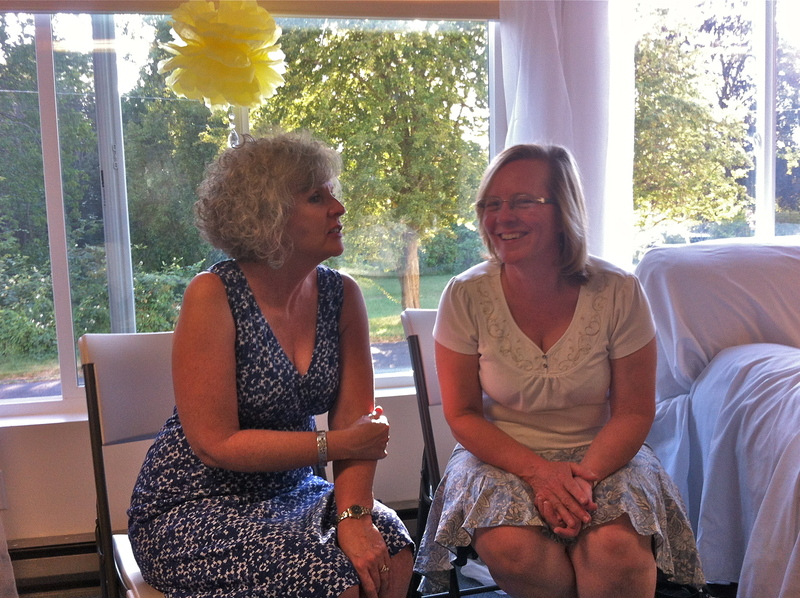 Then all women were given the chance to share advice about marriage while Stina’s sister as quickly as possible wrote the words of wisdom down. After this everyone took a break to enjoy vanilla cupcakes, chocolate cake, and fruit salad. 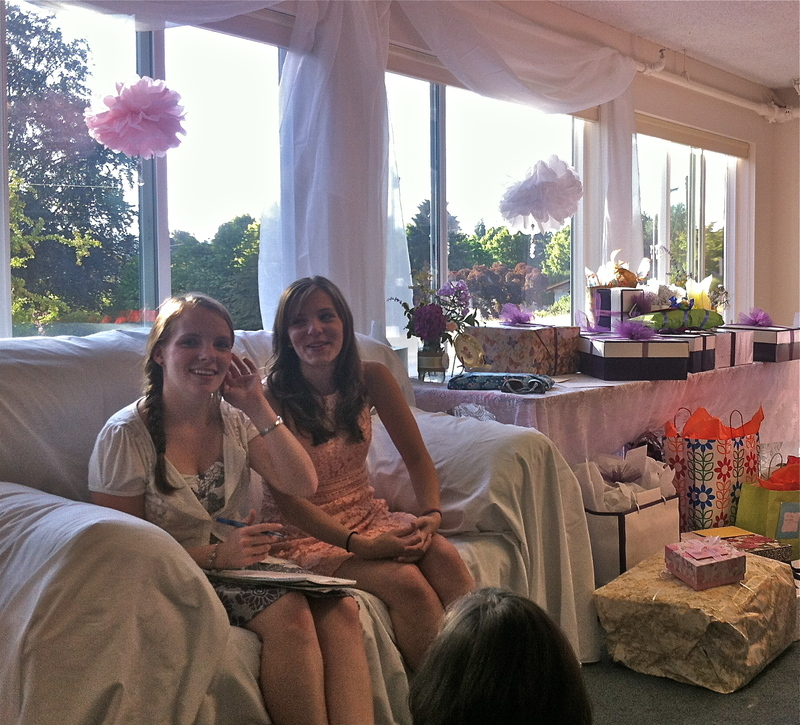 While everyone ate, Stina began to open gifts. 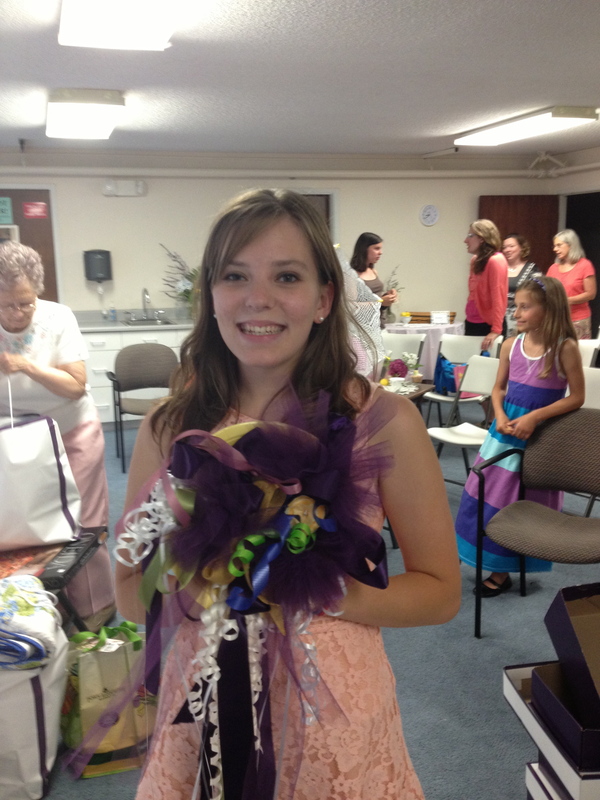 A system was formed: her sister would write down the gifts, the flower girls would hand me the ribbons to make the practice/rehearsal bouquet, then the mothers collected the gifts or cards. Stina received many wonderful gifts, tea set from her grandmother, plenty of cooking supplies, and from my mother as she did with me (see Happy Mother’s Day) a homemade quilt in floral blues, yellows, and greens. 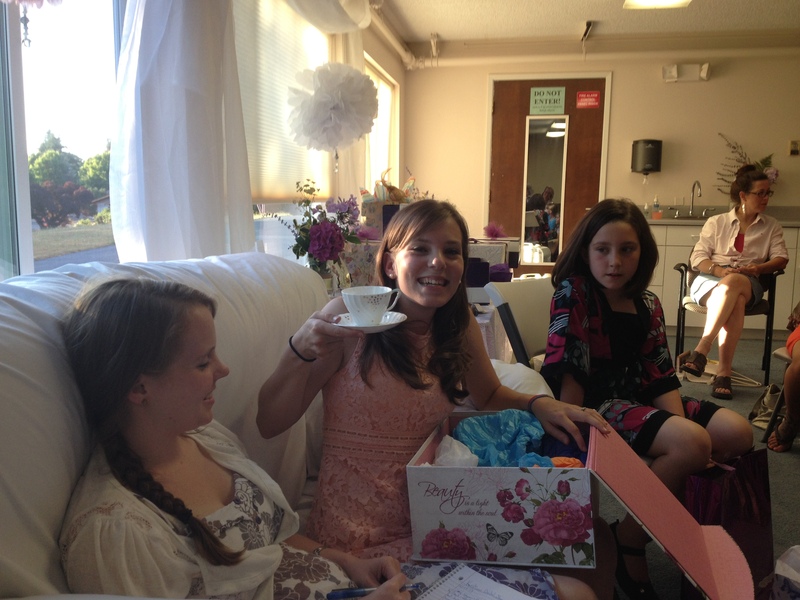 It was a great start to a week of wedding events and most of all Stina enjoyed every moment of it. I’ve got pre-wedding jitters, only it’s not my wedding and they are jitters of excitement and anticipation. Today I am flying out to Washington. I’m coming into town a week before my little brother’s wedding so I can help with the last minute planning and participate in pre-wedding events. 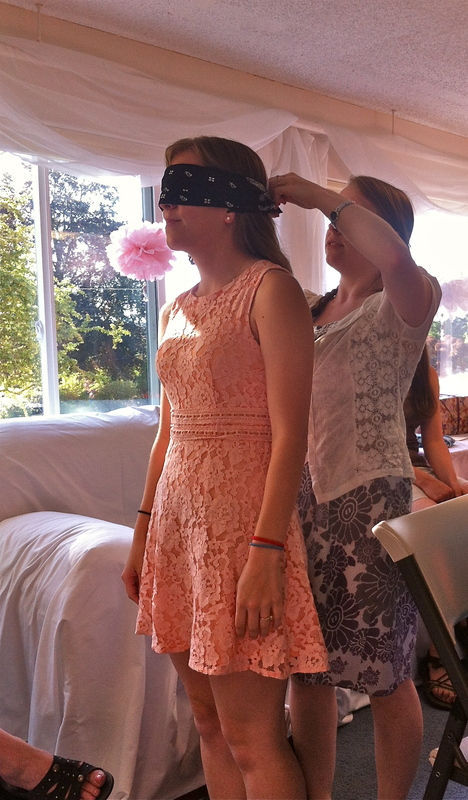 My pre-wedding itinerary includes: a bridal shower, moms and daughter(s) manicure date, pottery decorating class, bachlorette party, and of course the rehearsal/rehearsal dinner and the big wedding day: August 3rd. In the midst of all of this, I plan on making up for my lack of involvement as the future sister-in-law and as a bridesmaid. I expect to be running back and forth to the craft store, helping the moms with last minute details and most importantly helping in anyway possible to keep the bride-to-be Stina calm. I would love to make this into a vacation and re-aquaint myself with the state of my college years and potentially visit with some friends, but I doubt I will get out of town that much considering I am not renting a car. 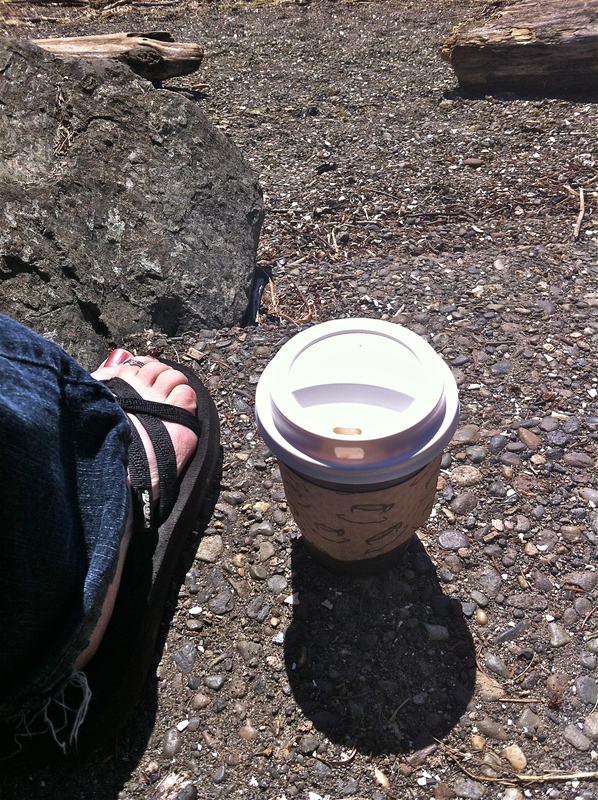 Although Luke and I have grown accustomed to sharing one car, I am still used to having a much more significant amount of time to myself: my schedule, my space, my quiet introverted world. But this trip, from tomorrow until next Thursday, I will be staying with my parents and sharing a car with them. This is the first time since I moved out and got married that we will get this much quality time and in each other’s space time (aka sharing the same room/bathroom). It will require us all to have a little patience and show each other grace. 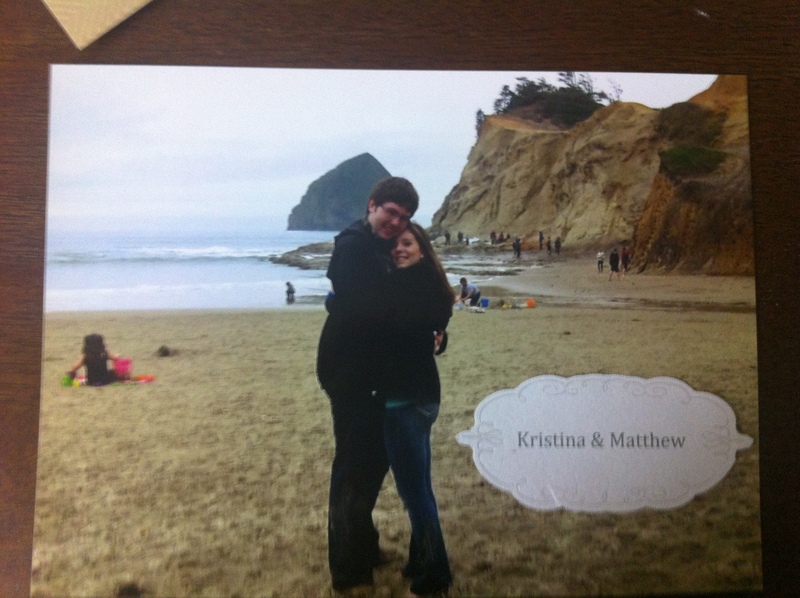 Also this is the first time Luke and I will be away from each other since we got married. There were a few nights the first two weeks of marriage Luke worked nightshift but since last October we have seen each other everyday. So we will be making quite a jump from never being apart to being apart for a whole week. It will be challenging probably in ways I don’t understand yet. But I’m interested to discover how often we will want to text or call each other while we are apart. Let’s just say I am glad I will be busy and distracted. By the time Luke comes into town and checks us into our own room at the hotel the wedding events will be in full swing: family and wedding party arriving from out of town for the rehearsal the next day. I’m looking forward to spending time with my family and friends and to sharing these moments will all of you. But you will have to be patient since I expect to be away from computer a lot in the next week. Until then I’d appreciate any prayers or good wishing vibes you want to send for safe travels and a successful and calm (as can be possible) pre-wedding week for everyone involved. What are you looking forward to this weekend/next week? We moved to Corning New York the week of Thanksgiving and since then we’ve stayed here. So it has been almost 6 months since we have seen any of our family face-to-face. But we are very excited that today we are headed back home! 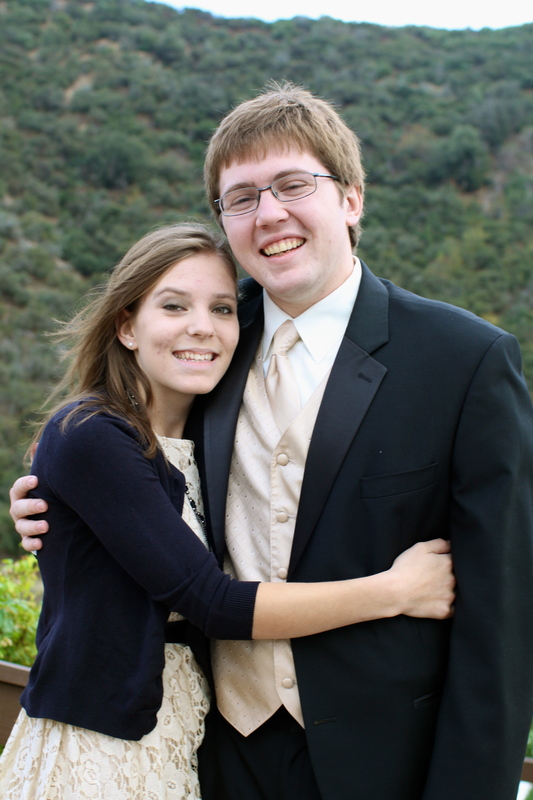 My brother is graduating for college (yay!). Fortunately my brother’s college is less than an hour away from my in-laws home. We decided this was our chance to spend time with almost all our family (both Halvorsons and Greenes) and celebrate and we do have a lot to celebrate. 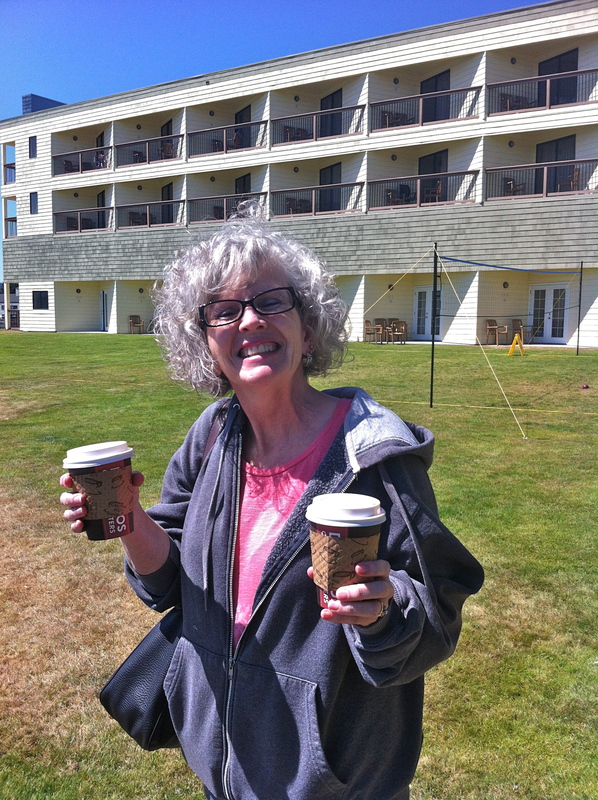 This is our first true married vacation together (unless you want to count the honeymoon). 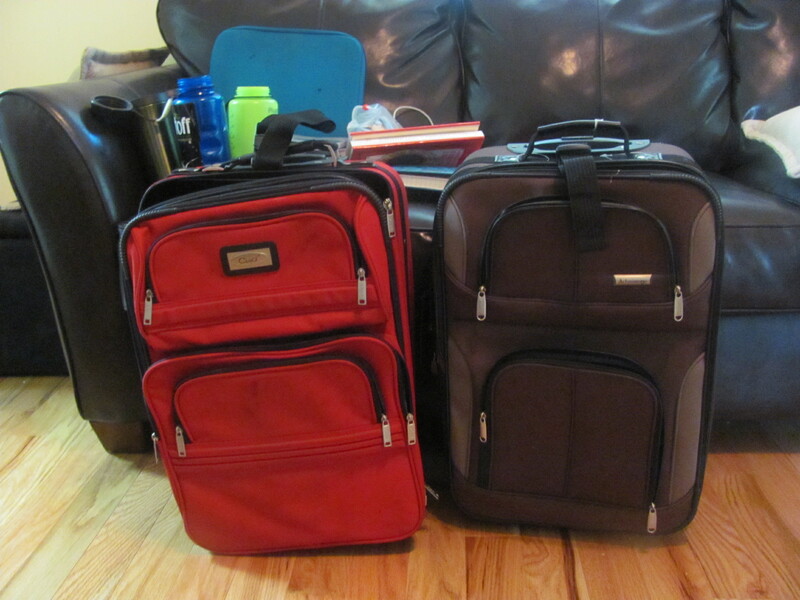 So it has taken some work to figure out responsibilities in order to get us ready to travel from coast-to-coast. I think ahead about all the little details including seeing what the weather will be like, writing and packing cards, and planning out outfits based on the activities we have going on. Luke on the other hand focuses on the big picture, the travel plans themselves, and is completely comfortable throwing clothes in a carry-on bag the morning of the flight. There is nothing wrong with doing things differently it is why we are a great team. But my goal is to make sure we don’t assume the other person took care of something before leaving only to realize neither one of us did as we our on our ride to the airport. 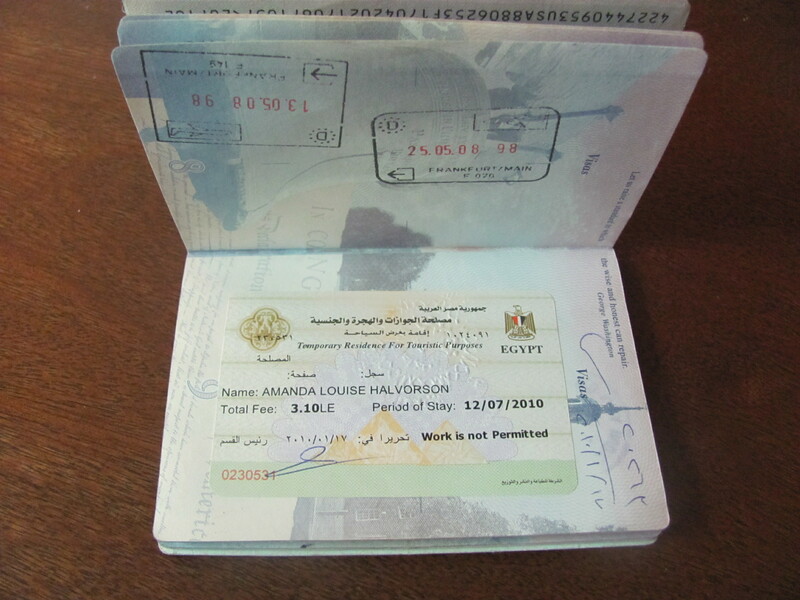 Part of the name-changing process, as I mentioned in Becoming Mrs. ___________, is getting a new passport. Although I was a little sentimental about my CA drivers license and license plate, as made obvious by my I’m a New Yorker?! post, I’m even more sentimental about my passport. In case you didn’t know, I traveled quite a bit in college. In fact 10 countries in 3 years! 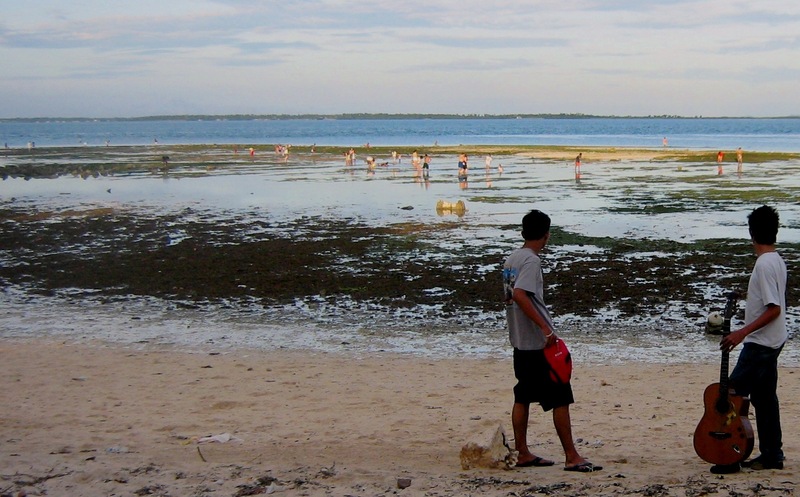 My first time off the North American continent was in 2007. 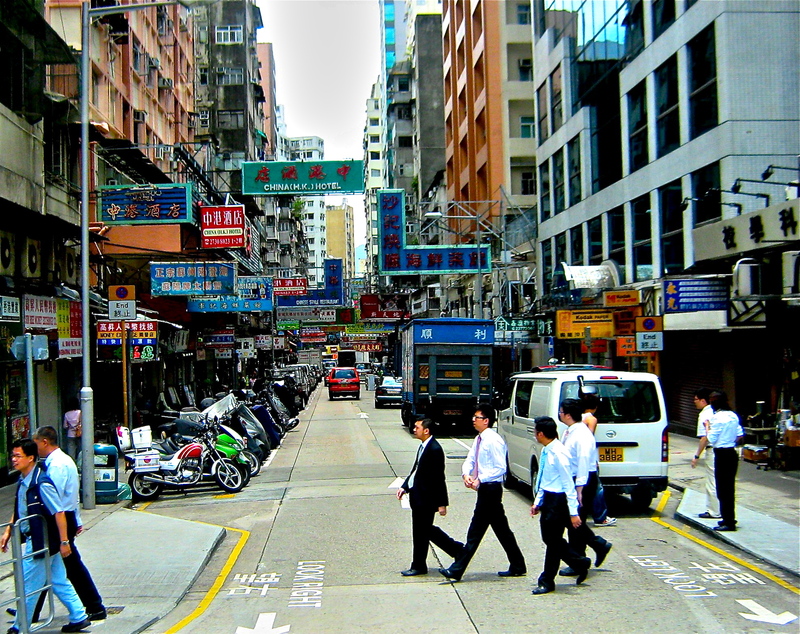 I embarked on a seven-week global internship backpacking through Guatemala, the Philippines, and Hong Kong. It was a humbling experience being apart of lives of many who have less than I do and therefore have more: gratefulness, humility, generosity, patience, and gentleness. The people we stayed and volunteered with treated us strangers like family. 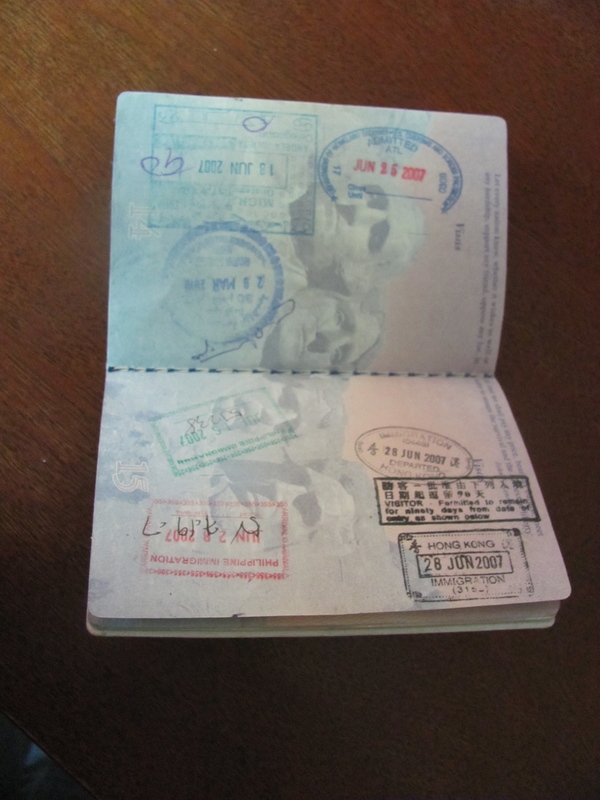 Passport stamps from Guatemala, The Philippines, and Hong Kong. 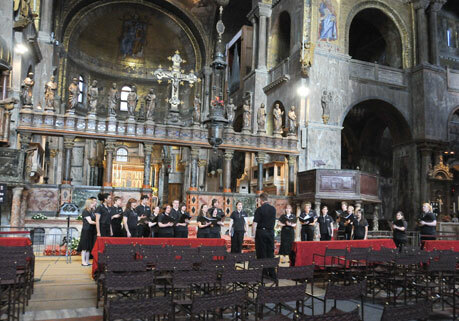 A year later I went on a two-week summer performing tour of Italy with my College Concert Choir. 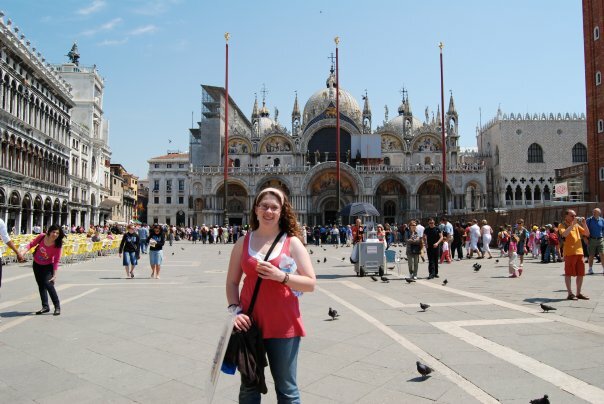 I got the opportunity to visit many famous historic locations and sing in many as well including San Marco’s Basilica in Venice and Mary Maggiore Basilica in Rome! I now understand the pride these people have for their native language, culture, food, history, and beliefs. 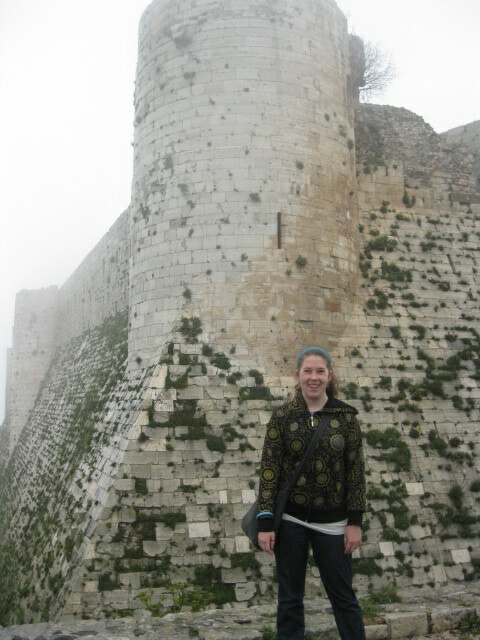 Skip ahead to 2010, I am off to the Middle East for a semester abroad. 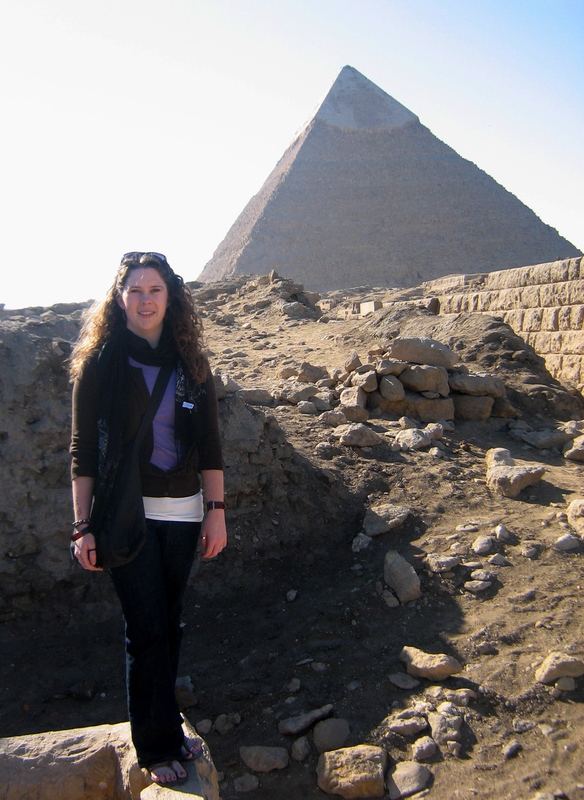 I lived in Cairo Egypt for two months studying Arabic, Egyptian current events and history, and Islam. 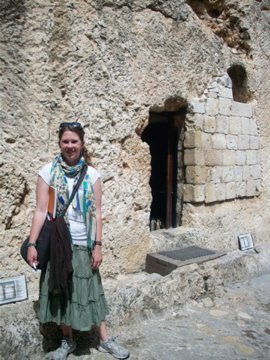 Then we traveled to Turkey, Syria, The Kingdom of Jordan, and Israel where we met with many local politicians, religious leaders, non-profit workers, university students, writers etc. who share about their country’s history, current events, politics, and religion(s). 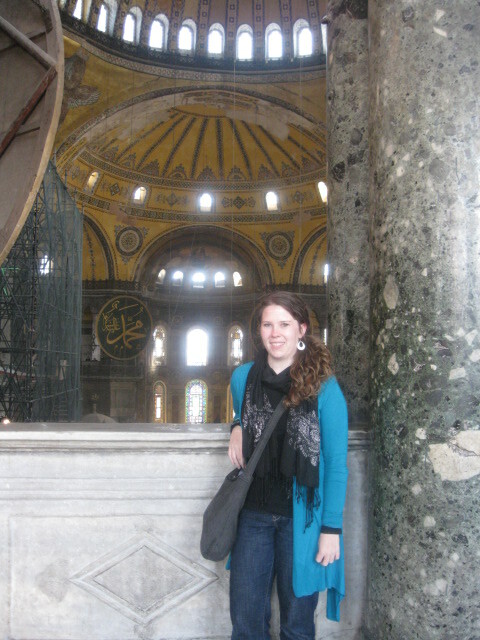 If you want to know more about my semester in the Middle East click here! 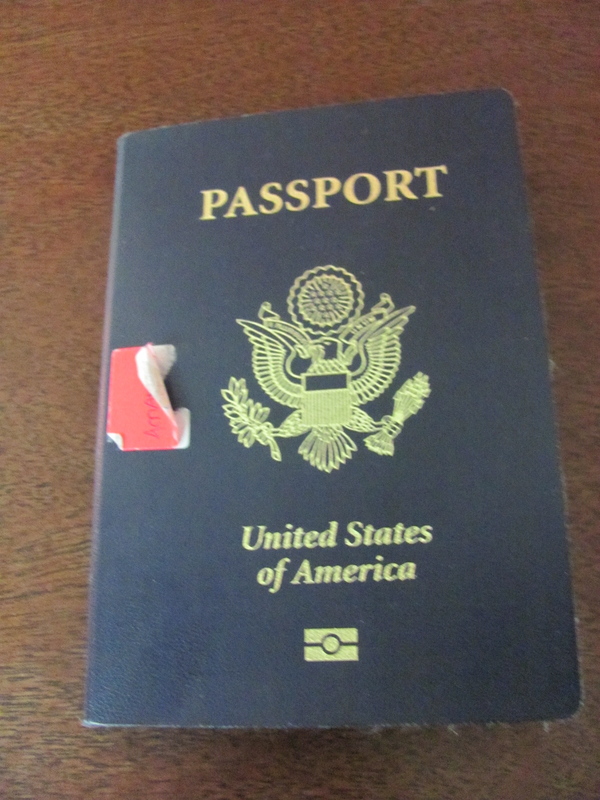 My passport is marked up; but it is not full. Many of the people I know from college, my Master’s degree, and my semester abroad have chose to teach, volunteer, study, and explore other countries. It is hard at times to not be jealous. But I don’t regret the choices I have made. I love my husband and being married. We are here in New York for now. We both have a desire, after a few years, to move to another country which could put our knowledge, experience, education, and careers to good use. The new Amanda Greene passport will be used for that purpose. For now it’s blank pages will be a reminder to have hope in the many exciting adventures I know are ahead of us.